The staff and services at Ascend were wonderful. 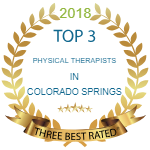 The staff really listened to me, understood what OT and PT I needed, and were always professional, empathetic, and skilled. I especially appreciated Nat and Bex. They helped me come a long way in regaining mobility and strength and I highly recommend them.